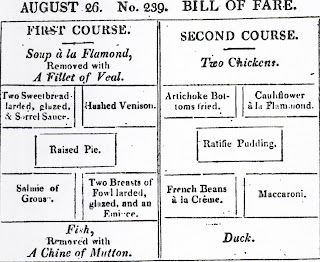 The Old Foodie: Regency Eating. Does that regency cookbook have menus for breakfast and lunch, too, or is it just for dinners? I've been wondering about what they ate for breakfast and lunch back then for ages! I'd like to know what they eat on picnics. What was eaten on Box Hill?